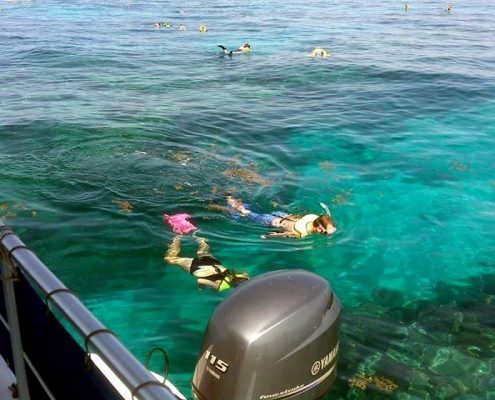 Come along with us on one of our daily snorkel trips to Sombrero Reef. 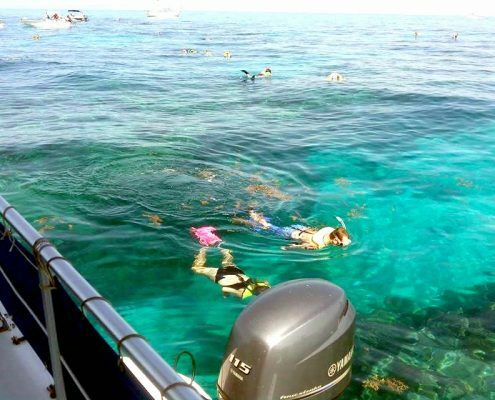 Specializing in family fun and first time snorkelers. 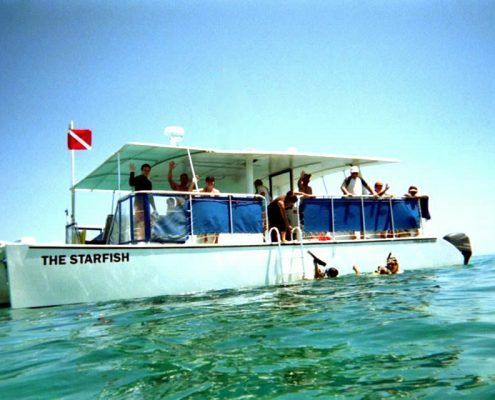 The friendly crew of “The Starfish” will take you on a fun filled snorkeling tour to the Sombrero Reef National Marine Sanctuary and Lighthouse* where you will see the spectacular 30-acre living coral reef! USGC Certified and Inspected for up to 49 passengers. 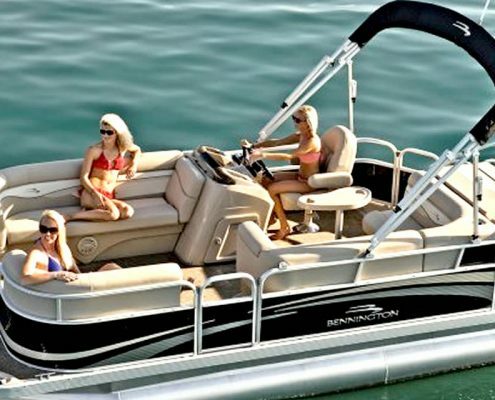 Per Title 49 USCG Code of Federal Regulations, passenger weight restricted to 195 pounds per person. Vessel ladder and platform weight restricted to 250 pounds. Please arrive promptly 15 minutes before your activity’s start time to check in. Wetsuits, cameras, and more available for rental upon arrival. Customers will receive a full refund with 24 hours notice of cancellation. Customers will also receive a full refund in case of operator cancellation due to weather or other unforeseen circumstances. Contact us by phone to cancel or inquire about a cancellation. Check-in begins 1 hour before departure and Check-in cutoff is 30 minutes before departure. If not present by checking cutoff, trip is forfeited and there will be no refund. No-shows will be charged the full price. Weight restrictions apply. Per United States Coast Guard Title 46 Code of Federal Regulations 178.330. Platform and ladder weight restrictions 250 lb. max.